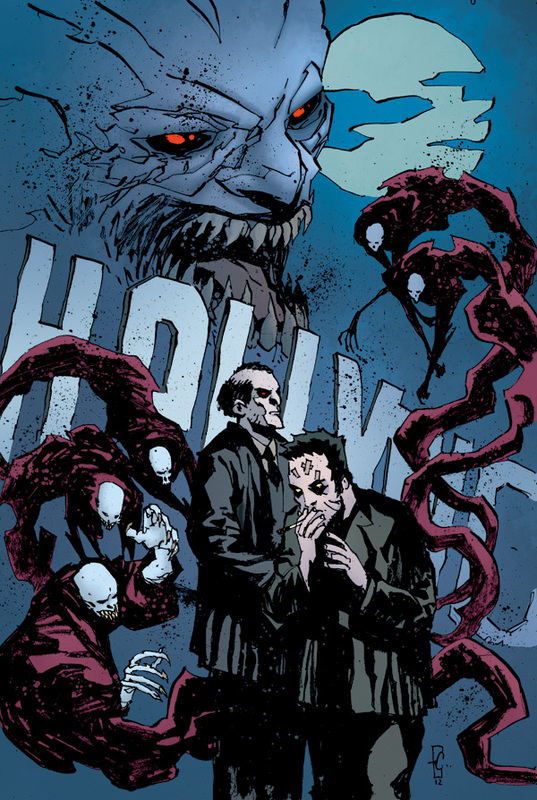 Steve Niles knew that combining his two signature series across two comic book companies would result in cataclysmic events. The end of one of them. But by the conclusion of issue one, you have no idea which one will meet its maker. That’s probably the best part. A foundation for the rest of the series, we see monster hunter Cal MacDonald is still the best at what he does, but former Alaskan sheriff turned king of the fang-ers Eben, has plans on expanding his business into Los Angeles. If you’ve only been briefly connected to CM, you know McDonald can’t let that happen. If you only have a passing knowledge of 30 Days, you know Eben has nothing left to live for, except destruction. What happens when an immovable force meets…you know the rest. Something will have to give here eventually. From the beginning, it’s poised to be a wild ride. Niles has done a stellar job of combining these two worlds. Even though there are only a few scenes where these two universes interact, it’s seamless voyage thus far. McDonald is his normal charming self, while the vampires are as gruesome as they’ve ever been. Nothing has been watered down. This is the way the crossover should be done. Regardless of what series you’re more a fan of, you’ll find the story unbiased and unblemished. Christopher Mitten’s art isn’t Ben Templeton’s the guy who’s art is synonymous with both series, but it’s damn good nonetheless. Even in the blurry noir style he works in, he has a penchant for expression and motion. Again, it doesn’t matter which comic has your indie heart in the palm of its hands, you’ll feel right at home with the visuals. With this kind of fluidity between characters powered by Niles and Mitten’s true to formula, yet strikingly fresh visuals, the first issue of this highly anticipated mini-series doesn’t disappoint.